In our city of Porto, a town of great ancestry, the discovery of its origins and the understanding of its urban fabric is, of course, an extensive and endless program. The twentieth century would give us one of the most representative and consistent chronicler and investigator of the history of the city. On March 4, 1894 Artur de Magalhães Basto was born at number 556 of the so-called Duquesa de Bragança Street, in a distinctly well-designed house built by his father António José de Magalhães Basto, circa 1875, then architect and professor of the Academy Portuense of Fine Arts José Geraldo da Silva Sardinha. 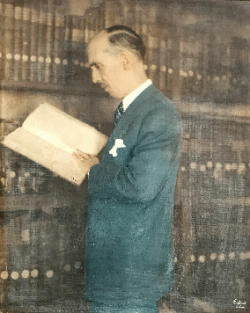 His training in Law at the University of Lisbon would serve him well in the future, as from a very young age his interest in research and paleography became apparent , namely through his teaching career integrating him in the first Modern Language Faculty of the city, where he lectured between 1922 and 1931. 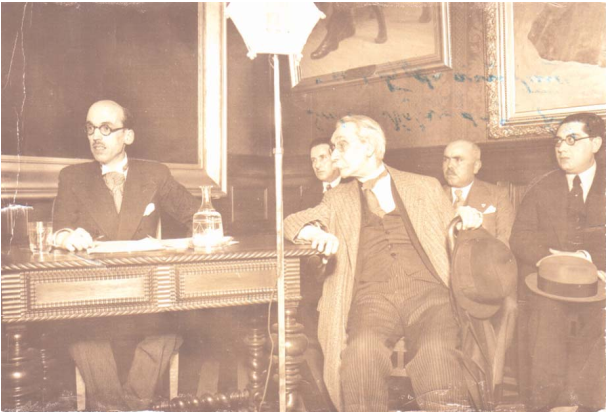 Being part of the City Hall of Porto up to his death, on June 3, 1960, heading as from 1934, the Services of Palaeography and Manuscripts of the library; and as from 1938 became Director of the Office of History of the City and became head of cultural services, until 1960. 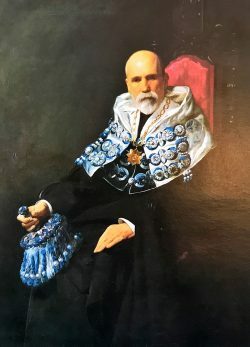 He was also Director of the Porto District Archive from 1939, as well as head of the great Office of the Holy House of Mercy of Porto, since 1933. But it is as a chronicler of the city that Magalhães Basto would stand out: from his writing would flow the most diverse themes of history and art always linked to the city of which we will give just a few examples: the indispensable “Falam Velhos Manuscritos”, 1445 weekly articles in the Oporto newspaper The 1º de Janeiro “between 1930 and 1960; and his fundamental articles in the magazine of History of the city “The Tripeiro”, of which he would be director between 1945 and 1960. Some of his 160 published works are transcriptions of conferences, one of his specialties, for us worthy of special reference , because of the urgency and style with which he was able to reach out to us all, without discrimination, in a very simple and direct way, his historical narrative and his studies about Our City of Porto. In fact, these lectures would be a way of counteracting the silence, the solitude of “Poeira dos Arquivos”, his natural routine, as he would so well refer to in a February 1960 text: “How boring a life must be, or even a year, a day, or even a single hour, all alone in an arquive, to read, to decipher old paper, crumpled, yellowed by time, gnawed by rats, holed by moth, and stale air. Our beloved and distinguished researcher died at his last residence, in Oporto, at nr. 500 Gondarém street, a dignified note left by Professor Luís Duarte in the exhibition catalogue dedicated by the master in 2005 in the Palace Gallery : “We realize that in the history country, there was a before and after of the magisterium and the work of Artur de Magalhães Basto”. Gomes Teixeira, illustrious mathematician who would become the first rector of the University of Porto, only did not study Theology by mere chance. Born in January 1851 in Armamar, he was soon distinguished by his intelligence and good grades obtained in all subjects. At that time, it was common for boys with good schooling to be referred to the Seminary, but the young man was also brilliant at Mathematics. Thus, when it was time to go to university, the family decided that it would be the good fortune to decide between Theology and Mathematics. Luck dictated Mathematics and since he arrived at the University of Coimbra, Francisco Gomes Teixeira stood out by the maximum notes obtained. At the age of 20 he published his first work and in 1874 he finished the course with a grade of 20 values. Such a brilliant academic course would, naturally, have to lead him to a teaching career. He excelled at the University of Coimbra and at the Polytechnic Academy of Porto, which he would eventually direct. In 1911 the University of Porto was founded and Gomes Teixeira was chosen to be its first rector. He died in Porto in 1933. After his death, three busts were made in bronze, later placed in his native land at the University of Porto and at the University of Coimbra. Legend has it that in the place where the Igreja de São Lourenço was built, one could hear the constant singing of the crickets. For this reason, the church is still known today as the Church of the Crickets. The legend, which has long been known in the city, tells that the Jesuit temple was built in the place where the gardens of the Bishop of Porto, who donated these lands to the Society of Jesus, existed. A place that, due to its abundance of these singing insects, was known as the Campo dos Grilos (Field of the Crickets). Thus, the Porto residents never adopted the official designation of Igreja de São Lourenço and since it was built in the sixteenth century, this temple was always known as … Igreja dos Grilos (Church of the Crickets). Another explanation, more based on historical facts, is related to the expulsion of the Jesuits from the country in 1759. 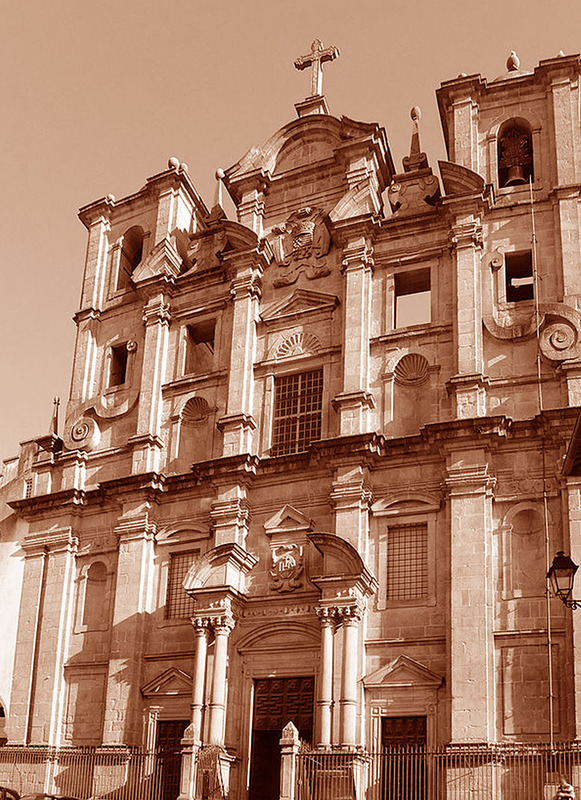 The church and college belonged to the University of Coimbra, which eventually sold the buildings to the congregation of the Agostinhos Descalços, also known as “Cricket Fathers” since their headquarters was on the Calçada do Grilo (Curbside of the Cricket). The history of the name may not be consensual, but the imposing facade and the richness of its interior justify a visit.